The Opux Luxury Yacht is one of the most luxurious and opulent cruise ships in existence. Yet despite this fact, you won't see these in capsuleer hands, save for a few exceptions. The reason being is that Opux shipyards refuses to rig or even sell their ships to capsuleers, claiming that such clients would only serve to find ways to weaponize their luxury ship. Such unintended role will surely harm the Opux Yacht reputation among their decadently wealthy clientele who seek out a luxury cruise ship as a peaceful retreat.. However, two Opux Luxury yachts did end up in capsuleer hands according to official sources. One ended up as capsuleer property in a daring heist during the Quafe Ultra Promotional Party held by the Quafe company on YC 106, April 1st. 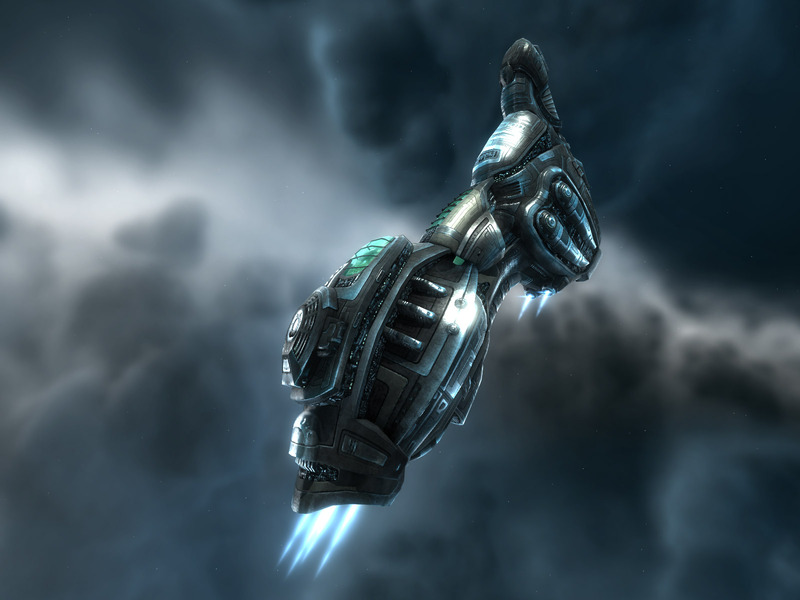 During this promotion, the capsuleer Ice Quaan hijacked the ship after the pilot was distracted. The second Opux Luxury Yacht was given to capsuleer Caitlyn Rose as a gift for proclaiming her engagement on a public CCP capsuleer gathering. After all these years, she is still happily married to her lover, may their marriage last! To date this is the only Opux Luxury yacht that has been given to capsuleers by Opux Shipyards. These two owners went on and formed what can only be described as the most exclusive club of Eden! The Opux Owners Club! This very exclusive club only has two members as their requirements are very hard to meet, one has to be a capsuleer flying an Opux luxury ship! Capsuleer reporter Di'ann Surali writes about the first exclusive gathering of this club in her report here: Opux Owners Club - First Meeting! Eden's most exclusive club! The Opux Owners Club! However rumors do surface at times that there's more of these Opux Luxury Yachts piloted by capsuleers! Considering Opux Shipyard stance on selling their famous cruise ships, it is not known how these capsuleers acquired them.Perhaps they managed to steal them? Or maybe for the right sum, Opux did convert these luxury yachts for an exorbitant price in exchange for the capsuleers silence. The basis of these rumors lies in the famous Capsuleer Killboards, that track the loss & victory of every capsuleer ship. On this you can find 4 surprising combat entries for the Opux Luxury Yachts. 2 of these were committed by Concord Command Personnel (CCP). However the two others are capsuleer entries! The first one of these is the loss of an Opux Luxury Yacht by Capsuleer Faroth. It is unknown how he got into possession of this ship. The second entry is by capsuleer Chienka, who used an Opux Luxury Yacht as a droneship when she fought a Moros alongside her allies. Just as with Faroth, there are no known records on how she acquired this ship. In short, there's currently two Luxury yachts in official capsuleer possession, one handed out by Opux Shipyards, the other stolen. The one deployed by Chienka does show there might be a few more lurking off the records in some capsuleer hangars... The total number of these unofficially owned Opux Luxury yachts is unknown but considering their lack of presence on killboards, their numbers must be extremely small.